*** The mind must be just and the heart righteous. Use them as tools to help you create positive changes in your life or to fulfill your desires. They are not to be used for one’s evil selfish gains or to harm others. You will be taught in 10 hours (2 hourly each day or 2 full days) on a powerful ancient meditation techniques that can help you cope with today’s stressful and challenging society. In those days, our Great Ancient Masters, known in the East as Masters of Wisdom, only taught these secret techniques to their few trusted disciples. During the meditation class, you will also learn on how to protect yourself against being a victim of spirit attack/spells. The techniques taught here are simple, safe and effective. After this special training, it will change you overnight, feeling more vigorous and revitalized, the inner fear hidden in you eventually disappear. This ancient meditation skill of the East will be taught in a modern and systematic approach. How to prevent from being the victim of spirit-attack/voodoo charm and so forth. How to use meditation/mantras to improve the quality of your life. How to visualize and manifest your goals and desires. To sign up, click here and indicate your full name and contact number. 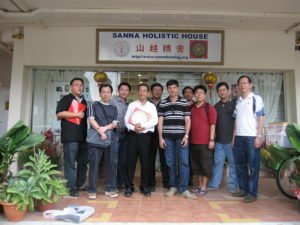 Kindly note that all training and courses are held in Sanna Holistic House, Singapore, unless stated otherwise. Feel free to enquire regarding corporate and overseas training. “Master, during your days of teaching, I found that I have gained a lot of knowledge from the course. Besides that, I found that the meditation really work, especially, last time I used to have sleepless night (always await till the next morning 9.00am) and also gastric pain. Now, after meditation, I feel that I can sleep after I go home around half past eleven or twelve. Then, the next day, I feel fresh to go market or doing housework. Also, my gastric pain disappear. I don’t feel pain these few days. I would like to take this opportunity to thank Master for persuading me to enrol for this course. “Especially after my very first baby delivery, I tend to become easily depressed, excited (refer to anxiety). When little matter strikes – such as upset over others hidden remarks on me (not directly in front of me). Baby’s cries and certain reaction towards feeding or others, also result my anxiety. a. Able to control and keep my temper and calmness. b. No more phobia towards darkness. I used to be afraid of alone in my house, but now no more. c. By concentrating on the mantra, it really helps me to stay calm, cool and concentrative on every thing. “Dear Master, this meditation course have given me to understand a lot of fact of life which I do not know for the good of my well-being. From what I have learned, I strongly believed Master lecture is based on logic and facts. It is more to scientific research to improve health and balancing of the neutral thinking. I was very impressed by my wife’s tremendous improvement, in health, mentally balance, good habit and have stable character after attending the meditation in Nov ’93. She took the course very seriously, no miracle. Before I attended the course I have a bad stress and unable to sleep at night for the past two months. After the course, I felt better and my stress had reduced and I am able to sleep well. My facial appearance is better and I also felt relax. From what I have acquired, this course is excellent and impact everybody’s needed to take up this course for good health and in life. I will practice hard to get happiness, relaxation, good health, good habit and mental balance through meditation you have taught. “First of all I would like to thank Master for teaching us a lot of valuable and knowledgable things. It really influence and benefit me a lot. I had suffered from insomnia for quite a number of years. But these few days I had no difficulty to get to sleep and can sleep very well. Previously I’m a very hot temper and petty person, but now I ‘ve learned to be more thoughtful and considerate towards others. I find that my temper is not so bad than before. I am able to control my anger and won’t take it to heart if somebody provoked me. Furthermore, I can sense that my health has improved. Now I can go anywhere without worrying whether I will faint on the road. Unlike last time I ‘m very weak and could not walk for too long. I’m very glad that finally I can be a healthy person. “Dear Teacher, I have gained a lot from my days of meditation course. My mental thinking is now better, and I had a peace of mind. I can also manage my work better. After my lessons, I can sleep soundly every night and my temper has cooled down very much. My constant headache, fear and worries has also gone. My health has improved. I am must happy that my daughter can now talk to me like good friends. I realised that my approach towards her before was wrong. My husband is very happy that I have changed and very positive mentally. Furthermore, I dreamt that my father-in-law was warded in hospital and it turn out to be true after that. This meditation course is excellent and I am very thankful to my teacher for his good guidance. “Dear Master, thank you for your time and knowledge that you’ve given us. Through the course I’ve realised the truth of meditation and prayer. I have also feel myself improving in health and mental. This course suits people in the modern society very well as it is based on logic and realization. It also help people with strong religious beliefs to realise exactly what they are doing and believing. 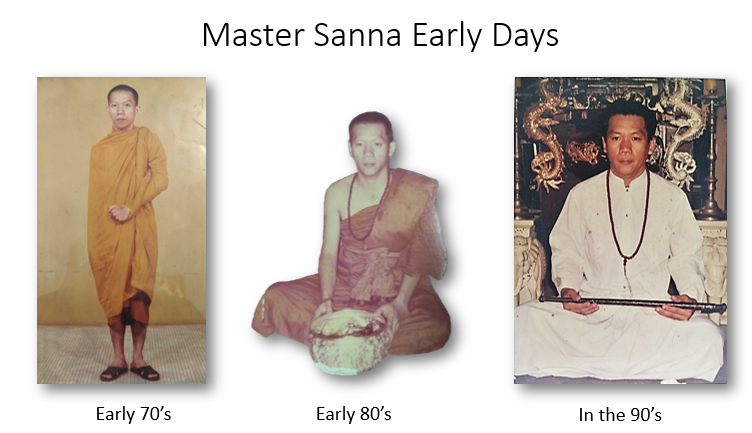 Master Sanna is a person who is very modernised and within him a very broad knowledge in Buddhism. He often research into everything before he believes. When I am a disciple following him, I strongly believe we are safe. “First of all I would like to thank Master for the patient and guidance for the past days. After the course I realize that what I did in the past are all superstitious and blind beliefs. Now I have more power and drive to solve problems. Also brighten my knowledge and more positive thinking. 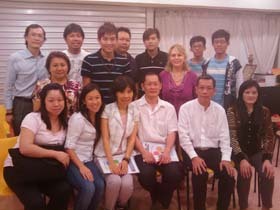 “After the course, I understood more about Buddhism (facts of life) and scientific knowledge. It helps you to make the most of life and to clearly understand the difference between blind belief (superstition) and mystical powers. Before the course, I was a skeptic. I did not believe in the efficacy of the course. But now I will like to thank Master for his guidance; because it is based on logic and facts of life. If not for him, I would be lost for the rest of my life. I was also very temperamental and emotional. My subordinates were defiant when I instructed them to complete certain tasks. In addition, I was disgusted and upset by the ungentlemently conduct and actions of certain male colleagues. During the course, I followed Master’s suggestion of meditating twice a day. I tested it out and the results were good. On the last day of the course, I observed that my subordinates actually completed the task I gave to them without rebuttals. Furthermore my temperament mellowed; I was more at-ease and relaxed. Everyone accepted my suggestions and ideas. The above-mentioned male colleagues became friendlier towards me and spoke nicely with smiles. They would talk about non-work matters and asked if I had taken my meal. They even offered me the food that they were eating. At that instant, I was overjoyed and I felt that my digust for them was no longer there. I noticed that the aunties who worked next door would even greet me when they saw me. “After the course, I think positively. I do not worry about anything. I can believe my self. I thank you Master Sanna. I sometimes come to visit you in order to show how myself functioning well. I owe you this fantastic lesson and I will return this to you by becoming very strong mind person on my own. “Before joining this course, I strongly felt that the charges is too much. However, by the end of the course, I realized that I am wrong! The contents of the lessons, the quality and quantity of the Master, and what I gained from the course is more than the amount (paid). All my doubts had been cleared. Most important is I achieved the easier way for meditation and also increased my wisdom towards spiritual enlightenment! 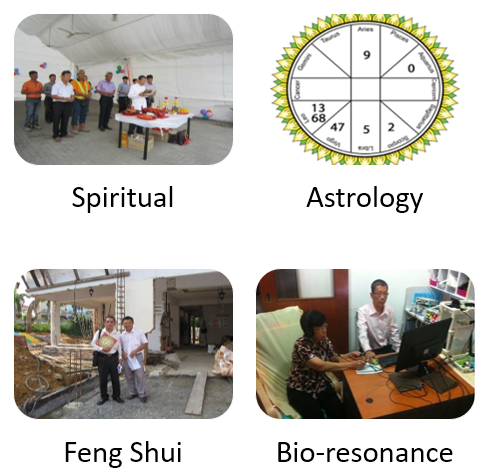 The course had brighten my path towards spiritual power (mystical powers) study. “Before joining, I read books on meditation. But they all give only very superficial level of know-how and that actually leads to nothing, in terms of achievement. With this course, not only one can gain the correct method and guidance from Master Sanna, also it would break the traditional misconcept and beliefs in Religion and other superstitious created by human beings, which otherwise we could have been led astracy in the spiritual way. “On the first day after being inititated, I felt ‘life’ in my body and health after a month of lifelessness. I felt much awake in the morning than previously coming to see you. Before, I used to have feeling of hesitation in doing all things, but now I feel much calmer in doing everything. My volcanic temper have cool down than before. Even my approach and speech to people have change to kinder nature. Thank you for the kind assistance you have rendered to me. “Is really a good course, very enlightening. From this course, I learnt to understand that our fate is in our hands, nothing is greater than our mind. I also learnt to concentrate better after the meditation course. I’ll like to thank Master Sanna for his guidance and teaching. “Master, from this course I understood that there is a difference between Religion and Meditation; Buddhism and Mystical Powers. I also understood that Buddhism are facts of life and not about blind observance. In addition I learnt how to concentrate to boost my energy and remove the accumulated negative energies in my spine. The accumulated negative energies was the result of an operation that I had 30 years ago, and with this meditation technique I am able to remove the pain that has been bugging me for the past years. After the course, I found absolute confidence in myself. Through the visualization techniques I am able to accelerate the manifestation of my goals. My favourite is the cleansing process, which is able to simultaneously remove all my bad habits and balance my body’s energies. “I like this very much as it was very useful to me. For example, everyday I go to work, a few people that I greet, mostly did not respond back to me, but just two days ago, they responded and say hello to me. “After the first lesson, I got a new and correct idea of what meditation and the energy of life is. After practising, I realized mediation is just a way of improving and tuning my life energy, it is nothing mysterious. Besides teaching meditation, our Master also gave us a new idea about religion and occult science. After the course, I am sure I will improve my health and also other areas of my life. “This course has enlightened me about what meditation is all about. At the end of the course, I felt that my body ache has disappeared, my mind is thinking positively towards life. It also explained to me about spiritual rites, religion, worshipping, superstition and religion. I think I can improve if I continue to apply and practice it daily. This course also explained and share to me, the problems the previous members overcame and the Master had explained and related it very well to us. More important, it taught me how to relax. In conclusion, I feel that the course has benefitted me a lot and I could appy it in my daily life and hope to lead a more healthy and meaningful life ahead. “There is something unique about this meditation course. It covers the simple and clear understanding for human being like us to learn and practice in our daily life. Time and again Master emphasized that practice is the only way to push ourselves to become a better self. I have experienced extraordinary feeling halfway through the course. At home and in the office, my behaviour has changed to be better. “Master, I did not believe about mystical powers and the existence of spirit entities before the course. I was skeptical about these things and even read from magazines and news reports about the troubles which stem from superstition. I enrolled into this course because of the strong recommendations from my friends. My heart was full of suspicions and I questioned myself if this would really be worth the money spent. Does it really work? So effective? Through the course, Master guided us with simple, effective, scientific and logical explanations on the practices. I practiced and saw results. My line of work requires me to make snap decisions on-the-feet and that caused me to suffer from fatigue and exhaustion. The meditation helped me to make better decisions with a clear mind, develop better memory, sharper focus, better health and feel more relaxed. Here I would like to extent my heartfelt gratitude and salute Master for his selfless guidance. “I been in Buddhism since 19 years old, chant ‘Namo Amitabha’ for 3 years and only have 2 times experience of clear mind, after that found that religion is just only spiritual support and can’t understand the phrase that ‘everyone is a Buddha’. “Feel different from before meditation. Do not get angry easily, can concentrate on things better, ideas and answers come almost immediately, sleep is back to normal and no longer feel tired after sleep or feel lazy to get up from bed. “A course without much religious attachment where anyone or everyone should attend and regardless of religion. The training of our mind to be mindful, sharp is important which to allow us to focus what we want to do. After the relaxation and cleansing, the mind and the whole head feels lighter with less burden. The meditation techniques should be spread to more people, family members, relatives and friends. Everyone would benefit and the whole world would be a better place. “I learnt Cleansing, Meditation, Concentration and Focusing power with Mantra Chanting and chanting is for self-protection. The breathing techniques also useful for calming one’s nerve. “My outlook of life had change for a more positive perspective and would like to practice and apply the lesson learn here with Master Sanna to achieve my goals and objectives for this year. I am now able to control my emotions better and be more focus on the environment surrounding me. “The mantra is simple and easy to learn. The meditation technique is soothing and requires only few sessions to ‘master’. It allows me to de-stress mentally and emotionally and even physically. “I come to the course with flu and cough. On the morning of the first day, I felt weak, drowsy and tired. As the time goes by, I felt more refreshed (especially after each meditation). At the end of the second day, I felt my body very relaxed and not tense. The body aching feeling from the flu disappears. I sweat a lot after each meditation. The sweating sort of help me to recover form my flu. Actually I was hesitating whether to postpone the course as I really worried I can’t tahan 2 days without sleep and lying down. To my surprise, I made it. Master was very good and concerned, and so were my classmates. I felt pampered and loved. Must be the result of my mantra chanting.